Da Qiao Primary School originated in 1936 as a Chinese-medium public school to serve the education needs of the community. It was founded by members of a Hakka clan and was known as Tai Keou School (公立大侨学校) then. ‘大’ refers to ‘Dabu’, the province where the founding members came from, and ‘侨’ refers to the Chinese immigrants in Singapore at that time. Members of the Char Yong (Dabu) Association served as its Board of Directors. The school was first located at North Bridge Road. After closing during the Japanese Occupation, the school re-opened at Lorong Tai Seng. It re-located to Jalan Paya in 1964 and functioned there until the end of 1980. In 1981, Da Qiao Primary School was established as a government school in the residential estate of Ang Mo Kio. The school name ‘Da Qiao’, a Hanyu Pinyin version of Tai Keou, was chosen to perpetuate the name of the former Tai Keou School and to recognize the past contributions made to the school by members of the Char Yong (Dabu) Association. The new school started operating in its new building at 10 Ang Mo Kio St 54 in January 1982 with 38 classes and a pupil enrollment of about 1200. The school was officially declared open by Mr Hwang Soo Jin, Deputy Speaker and Member of Parliament for Jalan Kayu on 22 July 1983. The first Principal was Mr Cheong Cheng Swee and the Vice Principal was Mr Ng Hing. 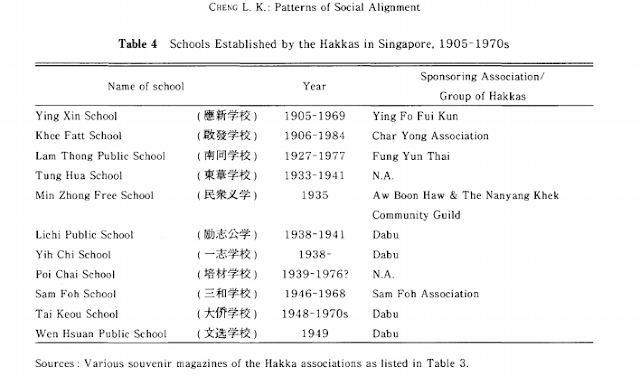 Mr Cheong was succeeded by Mrs Christina Koh in 1985 and later, by Mr Lee Lam Hua in 1995. As a result of PRIME, a Ministry of Education school rebuilding programme, Da Qiao Primary moved to its current campus at 8 Ang Mo Kio St 54 on 8 December 1999. The new millennium marked another milestone in the history of the school when it merged with Chong Boon Primary on 1 Jan 2000 to form the present Da Qiao Primary. On 2 February 2002, the school celebrated its 21st Anniversary and the Official Opening of its new campus which was declared open by Mr Wee Siew Kim, Member of Parliament for Ang Mo Kio GRC. The new merged school was headed by Mrs Loh Meng Har since its inception until Dec 2006. Since its merger, the school has consciously focused its efforts in providing a holistic education for all its students by engaging them in various programmes and activities which mould their character, develop their academic potential, nurture their aesthetic and sports talents, groom them as leaders, equip them with lifeskills and instill in them a passion for learning. Basketball is the school niche in sports. The pupils also excel in Gymnastics, Dance and Harmonica. They also perform well in the PSLE with results above National Average for all subjects. Mrs Bilveer Singh, the current principal, leads a team of highly dedicated teachers and administrative staff in delivering quality education in line with the school philosophy ‘Pupils First, Teachers the key’. Qifa Primary School, previously known as Khee Fatt Study Institution, was set up in 1906 by the Char Yong (Dabu) Association which was made up of early Hakka immigrants from China. The school had only 70 pupils at its first location at Loke Yew Street before the pupil enrolment increased to more than a hundred when the school moved to a new location at Peking Street. 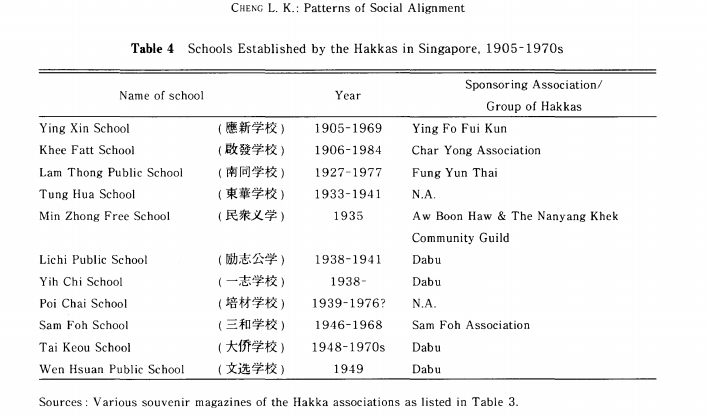 In 1917, a branch school was set up at Malay Street. With the acquisition of a building at No. 31 Hill Street, it merged with the main school and the pupil population went up to more than 300. In 1937, Char Yong (Dabu) Association bought over another building at No.29 Hill Street. The building was shared by the Association and the school. The pupil enrolment subsequently rose to about 500. In 1947, Char Yong (Dabu) Association acquired No.30 Cairnhill Road and converted it into a school building. Khee Fatt School at Cairnhill Road was established on 10 August 1947. Within four years, the school managed to attract 800 pupils. On 13 October 1966, the school was officially opened by Mr Lee Kuan Yew, the first Prime Minister of Singapore. Over time, English medium schools became more popular thus pupil enrolment in Khee Fatt School dropped sharply in the Seventies. When Mr Lam Siap Kon who had served as the Principal for 24 years retired in December 1984, the Association handed over the administration of the school to the Ministry of Education the next year. Khee Fatt School thus became an English-medium school, Qifa Primary School, which was re-located at 50 West Coast Avenue. It started functioning on 2 January 1985 with Mr Yap Kin Loo as the Principal. Having served the school for 7 years, Mr Yap Kiu Loo retired on 5 December 1991. He was succeeded by Mr Lee Kam Chiew, who retired in 2000. Thereafter Mr Leong Chee Kong took over the helm and retired in 2007. From 2006 to 2007, the school underwent PRIME upgrading to provide a more conducive learning environment for the pupils. With the merger of Qifa Primary School and Jin Tai Primary School in 2008, Ms Debra Saw Hoo Yong was appointed Principal as she ushered in a new chapter of history for Qifa Primary School. In December 2013, Mrs May Wong assumed principalship of the school as she leads the school on its next phase with the Primary Education Review and Implementation (PERI) upgrading to equip the school with an enhanced physical tone of environment to better support the pupils’ learning. Today, the school continues to develop our pupils to excel both academically and in the co-curricular activities (CCA) for a well-rounded holistic education. In 2009, the school produced a top Primary Six Leaving Examinations (PSLE) pupil in Singapore, Qiu Biqing. In terms of CCA achievements, the school continues to triumph in the Inter-Primary Schools Volleyball, Table-Tennis and Wushu championships as well as in the Singapore Youth Festival competitions for Guzheng Ensemble, Angklung Ensemble, Chinese, Indian and Malay Dances and Choir. In 2011, the school was selected for the Programme for School Based Excellence Award (PSE) for Volleyball which is a testimony of our track record in the sport.